He’s back Gooners! For those of you who use Twitter, this will be of interest. For those who don’t, get a Twitter account (and follow us @footballtalk1)! Arsenal midfielder Jack Wilshere has returned to the social media site nine months after being forced to quit after being targetted by trolls. 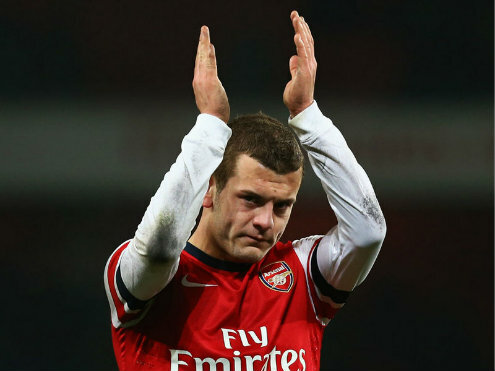 As with many footballers these days, Wilshere used to be a regular user of Twitter until he was forced to quit last June when he was targetted by a selection of ‘fans’ who claimed the 21-year-old was out of action for 18 months not because of a serious ankle injury, but because he had tested positive for cocaine. Of course it was a ridiculous allegation and Wilshere was not only forced to contact the police but he, and his partner Lauren Neal, closed their Twitter accounts. Within hours his follower numbers were increasing and he’s past 75,000 as of Monday evening. No doubt he’ll be closing in on a million soon and hopefully the idiots out there leave him alone this time around. 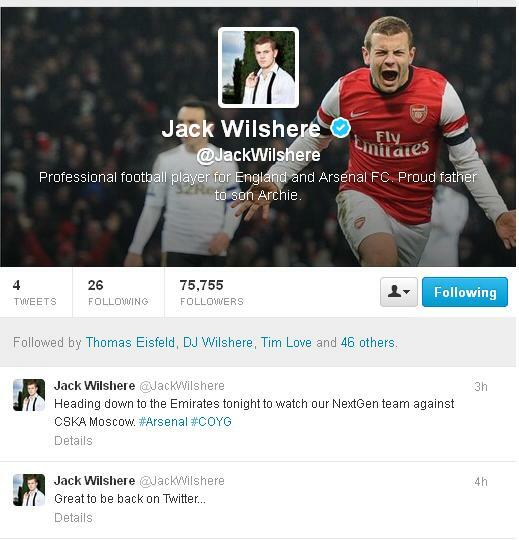 Although, with Wilshere currently on the sidelines again with another ankle injury, maybe he could have picked a better time to hit Twitter again?! What will the trolls come up with this time for his absence? They better be quick though as it seems the midfielder is closing in on a first team comeback and should be available for the clash with Reading on Saturday afternoon.